An early Norman Saunders cover that's certainly striking, plus stories by Lester Dent (a Foster Fade yarn), Erle Stanley Gardner, Hugh B. Cave, and Norman A. Daniels. 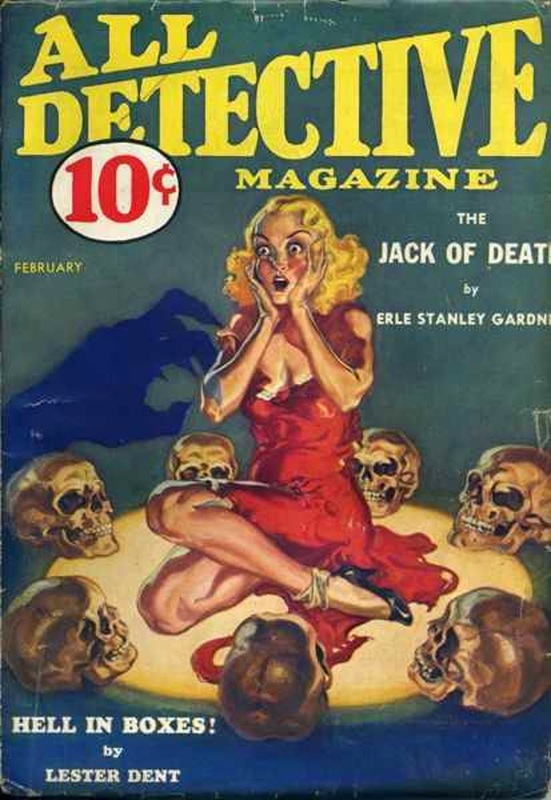 That strikes me as a pretty darned good detective pulp. Some very good authors in this issue most likely makes a pricey one. You can't go wrong with skulls and girls. Very eye catching cover.